This week we saw our first look at the upcoming biopic film Tolkien with a teaser trailer posted by Fox Searchlight. The film is directed by Finnish film director Dome Karukoski, known for movies like The Grump and Tom of Finland, while its script was penned by David Gleeson and Stephen Beresford. 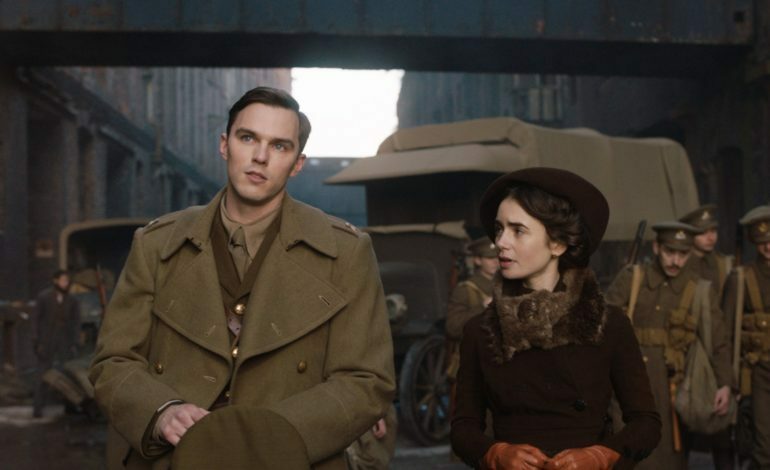 English actor Nicholas Hoult stars in the titular role alongside Lily Collins, Colm Meaney, Anthony Boyle, Patrick Gibson, Tom Glynn-Carney, Craig Roberts, Laura Donnelly, Genevieve O’Reilly, Pam Ferris, and Derek Jacobi. Tolkien will depict the early life of the iconic fantasy author J. R. R. Tolkien before he became the writer we remember him as. Based on the trailer, a lot of the film’s material will be the relationships, both platonic and romantic, Tolkien had in his youth as well as the horrendous experiences he underwent while serving the British Army in the first World War. It will portray how the author’s life experiences shaped what would become the basis of the events and villains in his classic books The Hobbit and The Lord of the Rings. Fox Searchlight and Chernin Entertainment’s Tolkien can be caught in theaters starting May 10th this year and the aforementioned trailer can be seen below.